Sometimes I just wanna draw someone being cute. Gwen's a good candidate. Nice hustle, Gwen. Awwww she is so cute may give her a little kiss? Okay, but you gotta close your eyes! her hair's so fluffy i just wanna mess with it! Too Cute On So Many Levels! I'd just want to lean over and kiss her! Such a cutie skunk, makes me want to give her an big hug. it is nice just to draw cute stuff once in a while. great drawing gwen cute as always. it is nice just to draw cute stuff once in a while. great drawing gwen cute as always. In the words of Jontron: Byotful. She totally got caught with her hand in the cookie jar again. Sometimes simple little things like this are really nice. 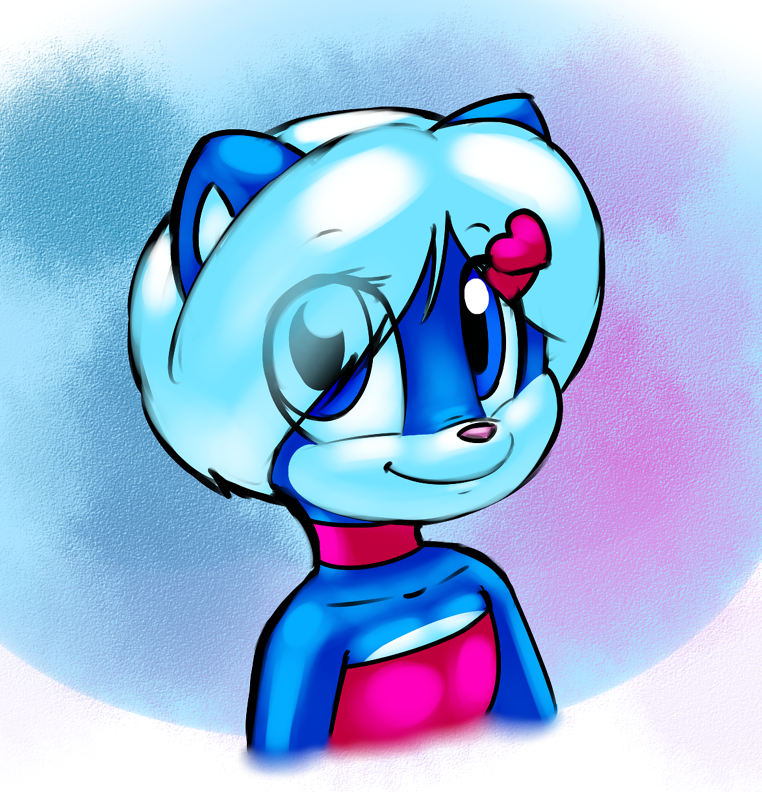 Just a break from everything else to draw something pure and innocent, even if the subject matter is often used for anything but XD Lovely little bust here, Gwen's a precious sight in any scenario. She's got such a guileless innocent smile you can't help but trust her with all of your secrets. It's very nice, but... it needs more cowbell. Ah yup, I feel pretense building in the wind. We better find shelter before it starts pouring down. Last lollypop and loli storm I was in nearly cost me my eye when a cherry-watermelon charm pop nailed me while I was running between cover. Ah yup, I feel pretense building in the wind. We better find shelter before it starts pouring down. It's a shame she isn't in high school. That would be an AWESOME yearbook photo. That is without a doubt, the cutest pic of Gwen I've seen! So beautiful. I wouldn't mind giving her a cute little kiss.